Garlic has traditional uses including supporting the health of your heart and cardiovascular system. ** Garlic is believed to support heart health by helping to maintain healthy blood flow and promoting healthy circulation. ** Garlic has also been traditionally used for respiratory health. ** Natural ingredients in our Odorless Garlic & Parsley softgels include S-Allyl-L-Cysteine, and Chlorophyll, a plant nutrient. 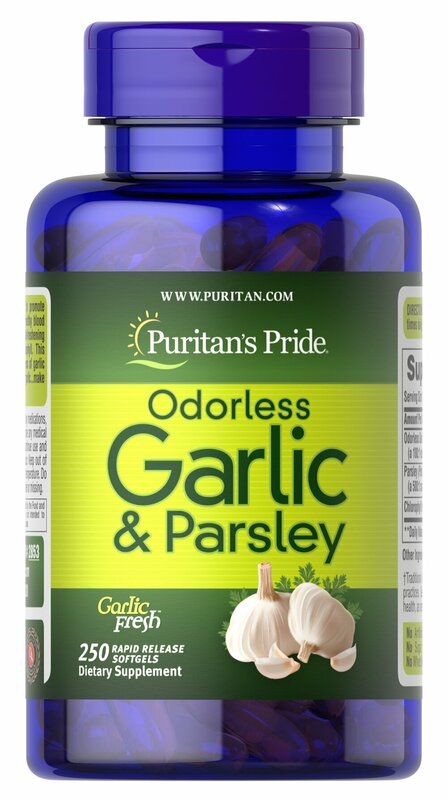 These easy-to-swallow softgels are a great way to reap the natural benefits that Garlic has to offer without experiencing its lingering odor.